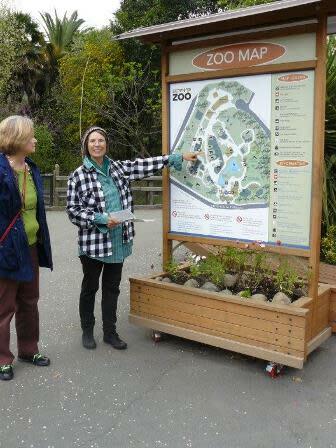 People travel the world to visit zoos, from China to London to San Diego. 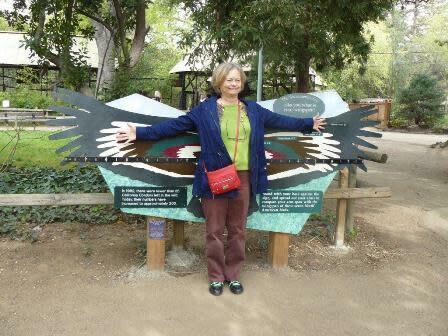 Why not take a day and travel to the Sacramento Zoo for a fabulous zoo experience? 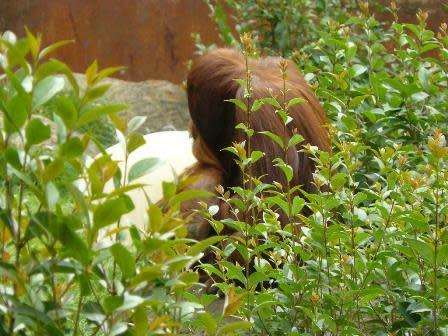 Remember how much fun it was to go to the zoo for the first time? Well, guess what? 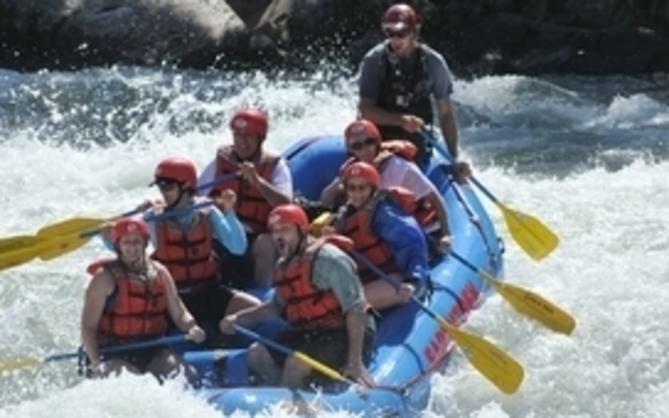 It&apos;s still fun, even if you’ve been there before. 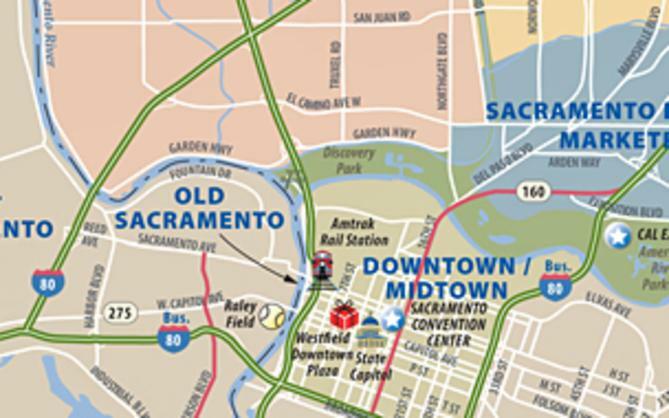 The Sacramento Zoo is close to downtown Sacramento, on Land Park Drive near Sutterville Road. 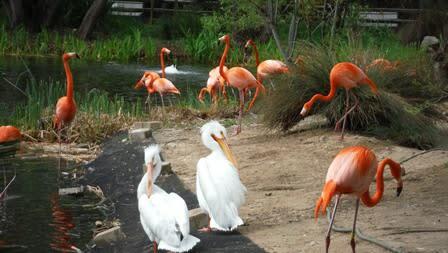 You don&apos;t need to bring a child to appreciate visiting the zoo. 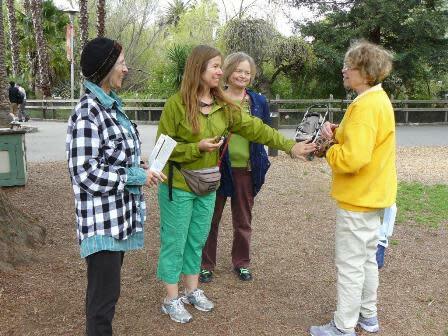 Take an adult friend or two and spend the morning visiting the animals. That&apos;s what we did, and it was delightful. 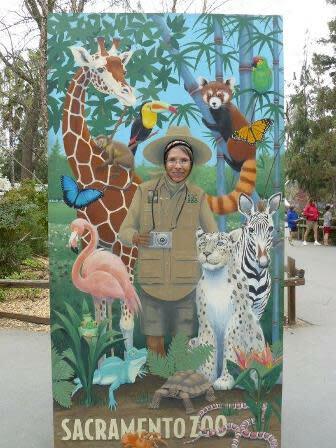 We got to feed the giraffes, pet a snake and listen to the Kookaburra. 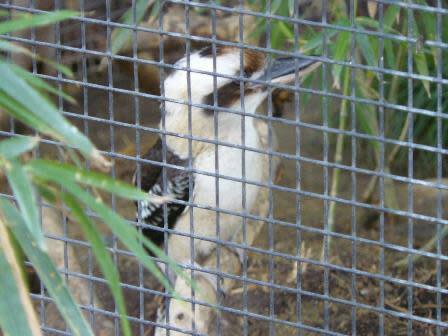 Here are some photos from our visit to the zoo. 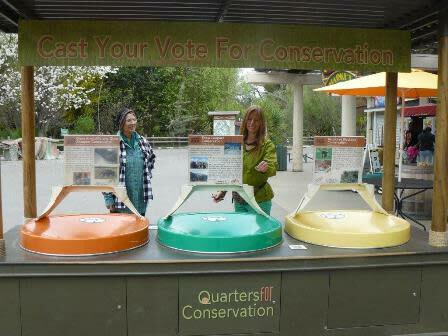 2) Quarters for Conservation. We shared our votes across all three candidates. All are worth saving. 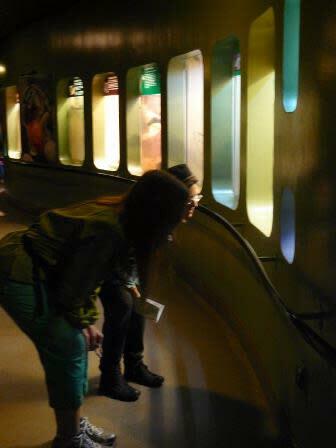 5) We got to touch a rainbow boa! 7) Is he sleeping or waiting? Leopards ambush hunters and like to attack from above. 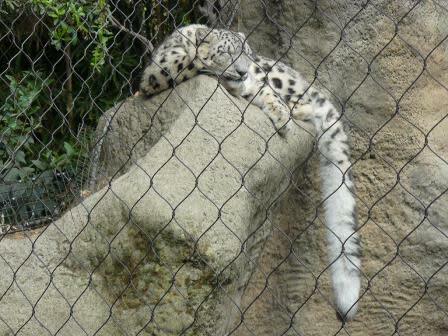 8) Snow leopards in particular lose themselves among steep jumbles of stone. So this particular spot serves two purposes. 9) Anticipation! 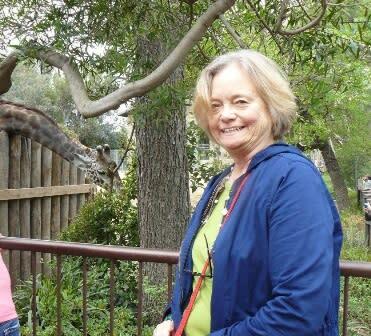 Carol is waiting in line for the Giraffe Encounter. 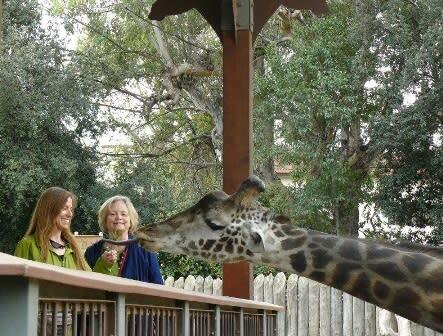 10) Carol and Jackie fed leaves to giraffe by hand! 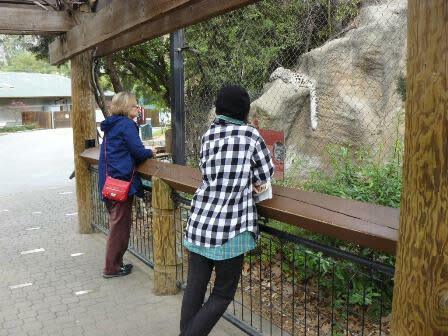 After feeding the giraffes, we were hungry, too! 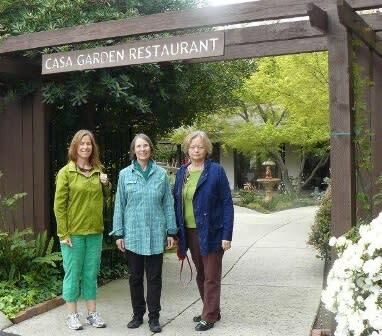 Fortunately, we had reservations for the 1:30 p.m. seating at Casa Garden Restaurant, 2760 Sutterville Road. Adjacent to the Sacramento Children’s Home, this elegant yet comfortable venue has been operated by the Los Ninos Service League volunteers since 1973. 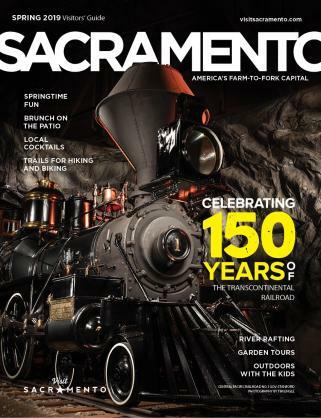 All gratuities benefit the Sacramento Children’s Home and our community by providing children’s programs and services. The Casa dining room was not crowded at all. Every table has a view of the gardens, which were in bloom with azaleas and other springtime flowers. 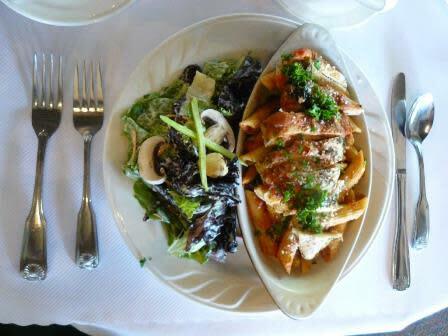 The regular menu features two fixed items that change each week. 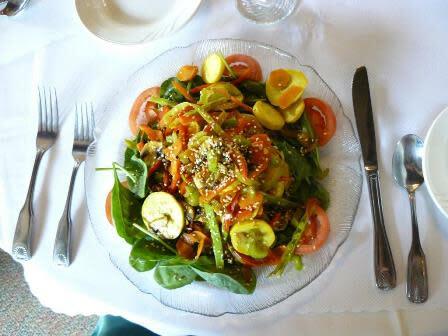 With 24 hours’ notice the Casa chef will create a special to accommodate dietary needs or restrictions. We requested and received a vegetarian selection and a vegan option. 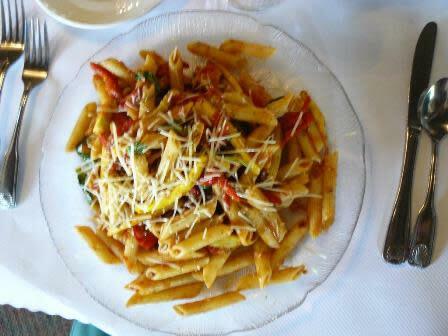 Both, as was the regular menu option of penne pasta and chicken, were tasty, satisfying, and beautifully presented. See the photos below as proof!